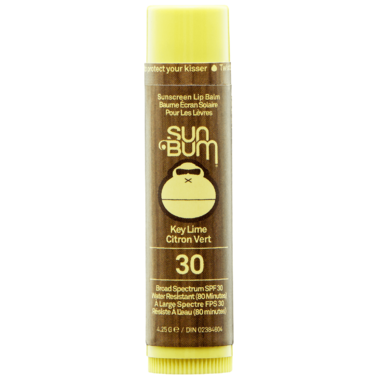 The smooth Sun Bum Sunscreen Lip Balm with SPF 30 has Aloe and Vitamin E to protect and moisturize your kisser all day long... just try not to lick it off. The smell/taste of the lip balm are amazing and it feels very soft, but not the longest lasting - still would recommend though. I would have given this balm 5 stars, but I don't find it lasts quite long enough. It is really moisturizing and protects well from the sun, but I find I have to reapply every 20 mins or so. I do love the smell and flavour, and it goes on nice and smooth. Even though it's not super long-lasting, I would still repurchase. Great product. Best tasting lip balm EVER!! The lime is juicy, sweet and very delicious. Plus itâ€™s super moisturizing! Lovely flavour and smell; worth the price to protect lips and moisturize them at the same time. This is my favourite flavour of them all. Great taste . Hard not to lick your lips. SPF for your lips, moisturizes and smells great! !